Here are some tips for implementing more employee advocacy to keep your team motivated. Most of us are guilty in the occasional, if not, regular humble-bragging about a new job, new position or about the completion of a big work project on social channels such as Facebook and Twitter. We tag Facebook and Instagram posts and tweet about our job or our company when we want to show off just about anything “cool” in our workplace — all of these are examples of Employee Advocacy. When employee advocacy entered digital marketing industry, it created a lot of buzz and excitement, especially among marketers who are more than eager to try different mediums in the name of brand promotion. And so, the battle for the best employee advocacy campaign begins. Jumping on the bandwagon of latest trends is good especially for marketers and business owners as it’s a good way of adapting to changes. But if you’re just jumping without doing a survey about which spot is the best and which is the worst, you’re in for trouble. The same thing applies to employee advocacy. No matter how many campaigns you launch if you’re not doing it right, if you’re using the wrong message, if you patronize the wrong beliefs, they’ll never work. Just how many failed employee advocacy have you seen within this year? Probably more than what you could count. So, how do we avoid falling flat in our employee advocacy campaigns? There are numerous solutions, but the best thing to do is to start with the roots — your beliefs and the things you thought are right or wrong. It may sound nonsensical, but the success of an employee advocacy campaign starts with what you know about it. If you’re crafting a campaign out of wrong notions or false information, it could backfire on you, your brand, and your company. To prevent it from happening, you need to know which information is correct and which isn’t. It’s about time that we debunk the common misconceptions about employee advocacy and stick to what is correct. Check them out below! With so many social selling channels available to promote your products and services on, it’s easy to get lost in the crowd. You tend to try one channel then jump to another until your campaign becomes successful. Unfortunately, a lot of our fellow marketers fall victim into this fundamental mistake. The important rule of thumb is to choose your platform carefully when it comes to implementing an employee advocacy program. Otherwise, too many social platforms will cause confusion among employees. They’ll wonder what exactly it is that you want to achieve if you want them to share content on Facebook one day, LinkedIn on the next day and Twitter on the third day. Just because you’re running an employee advocacy campaign doesn’t mean you’ll bombard different social channels with hordes of well-curated tweets and shares from the employees. It’s very tempting to do so, but no, it will never work. You need to use the “right” platforms. For instance, if you’re in a B2B (Business to Business) sector, LinkedIn is the best platform for sharing content while Facebook is the most suitable for B2C (Business to Consumer) environment. Google+ and Twitter are ideal for both B2B and B2C. 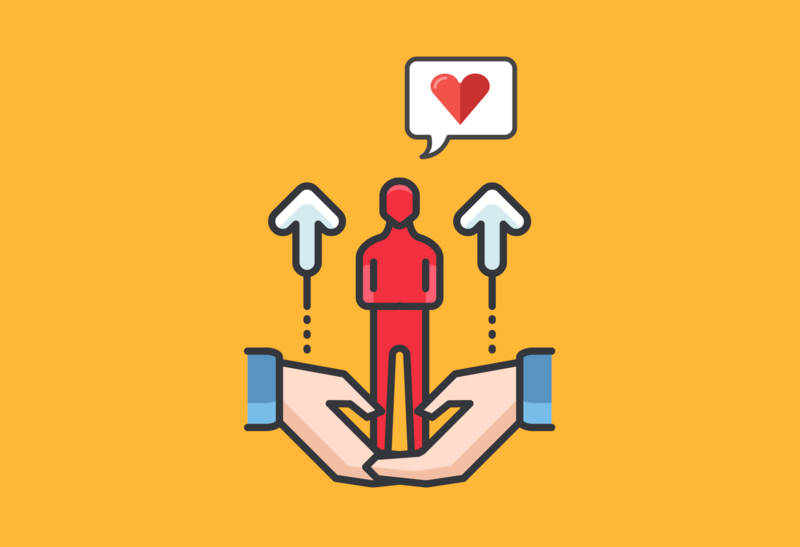 An effective employee advocacy campaign requires consistency to make a lasting impact. One good idea is to create several pieces of content in advance, organize them, and post them on regular intervals. This approach will not only encourage employees to share content regularly with their network, but it will also create a content asset online which is valuable for your site’s credibility and search engine optimization. When your content gets multiple shares from people within the organization, you’ll have the opportunity to extend its reach to more people. You can also get a higher level of engagement compared to paid forms of advertising. But it’s also important not to go overboard as it will become annoying to other people, especially those who follow your brand. Otherwise, your company will get negative sentiments from people instead of the warm engagements that you expect. There’s a fine line between ‘consistent’ and ‘intrusive.’ If you want to succeed in employee advocacy, you need to learn how to differentiate the two. While employee advocacy’s primary intention is to promote your brand and business through employees, good content is also necessary to make the success equation work. Just like in content marketing, you need to craft your content carefully. Now, you’re probably confused with the part “a good content is also necessary to make the success equation work,” which is understandable. Most marketers believe that employee advocacy is all about employees. There’s no need for good content. As long as the employee promotes the products, the brand, the company, you’re ready to go. Unfortunately, this isn’t the case, my friend. For starters, an employee will only get disheartened with content that’s full with sales pitches because they don’t want to appear as apparently pitching content to their family and friends. Unless you’re selling books, that could pass. But again, the main point here is to provide content. These content pieces should be relevant, educational, interesting, keywords-driven, and visually appealing. It’s also important that you use content sparingly. For each post, be it an article, infographic or video, provide three to five pre-written messages. All the employee needs to do is select one message and share the content. To keep the motivation firing up for your employees, you can encourage them to contribute content, which they think will draw interest to your target niche. If the content is good and relevant, you can approve it for posting, then reward their efforts. You can treat them with snacks, give cash incentives or gift certificates, or a simple praise for a job well done — everything that could spike up their motivation. An excellent employee advocacy needs a good strategic approach. You can’t just go into a battle unarmed. It’s just unfortunate that most marketers fall into the trap of employing one tactic after another without an actual strategy. If you’re doing it, you will just face a big failure. It’s important for a company to have a strategy with clear goals in place for every project. Having strategies will help you measure the outcome of your project, instead of investing time and money in unproductive things and complaining about meager results. Is it for improving the visibility of the products, services, company or brand name? Are we trying to get more likes, shares or tweets for a certain campaign? Is it for creating a prospect list? How long should you run a particular advocacy campaign before jumping to the next one? How will you measure the response to the campaign? What are the visuals, auditory messages, and the kinesthetic impact that you want to make through your employees? How can you reward the employees to create and sustain a positive energy within the organization? Just from the name itself, you’ll have an immediate idea that employee advocacy is not a one-man show. The success of this program heavily depends on the willingness of the employees to participate in the mission actively. It’s the core reason why it’s imperative to persuade employees to “buy-in” to the program. A worthy reward system is a good starting point if you want to recruit employees because it will keep the interest level high and adds to the excitement. 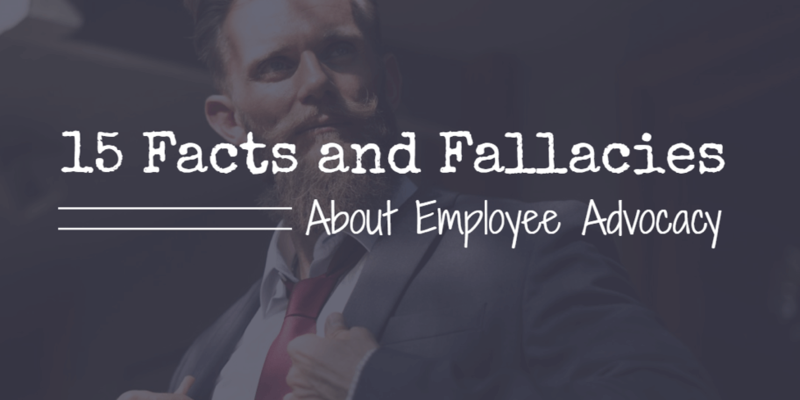 When there are facts, of course, there are fallacies, and employee advocacy also has its fair share of dangerous myths that could take a toll on your campaign if left uncorrected. Even though employee advocacy is enjoying its high-flying status in digital marketing, some myths keep business owners skeptical about using it in their marketing strategies. To shed some light on this issue, here are the ten misconceptions about employee advocacy that you need to be aware of and eliminate in your system if you want your campaigns to succeed. Perhaps the biggest misconception about employee advocacy. While it’s true that it requires employees to work, it doesn’t mean you advocate on behalf of your employees (in the legal sense). What employee advocacy truly means is to ask your employees to act as marketers and advocates on your company’s behalf. It is to build trust, to share content, and to drive sales. Some companies create fake social media profiles, complete with fake names, credentials, and fake photos. Done all in hope for nailing a successful employee advocacy campaign. Then the marketing department operates these profiles and tries to run them off as real employees with fake status updates about the company. If you’re guilty as charged with this one, well, it’s about time that you do some serious reflection. Creating fake profiles and fake status is not an act of employee advocacy. You’re not tapping your employees’ potential networks, and you’re missing the chance to capitalize on their authentic relationship with their family, friends, and colleagues. Making your employees pretend to like your company is a product of poor judgment. Come on! You can do better than this! What’s the point of having an employee advocacy campaign if your employees don’t believe in your company or in the products and services that you sell? You’re just wasting your time, effort, and money. Employee advocacy should be genuine and sincere, not fake and pretentious. If you’re a good boss yourself, you have a conducive workplace and have a harmonious relationship with your employees, then there’s no need for you to ask. Your employees will do it willingly for you. And besides, you should be smart enough to know that internet users now are more observant and sensitive. They’ll know if a certain post is genuine or not, which is real and which post is based only on a script. You can’t expect your employees’ followers to be ready in buying your products or services. If your employees continuously solicit demo requests or only share updates about your products, it will just annoy their followers. The sense of trust will disappear, and people will shun away from your advocates. Think about it as adding value. Think about what shares from your employee can add actual value to the lives of their followers. It could be true at some point; there are companies with millions of followers on social channels. But employee advocacy is not just a number’s game. If you’re using the number of followers as your metrics, then you’re missing out. It’s all about brand advocates per follower and the ratio of conversions. You might not have a massive number of followers on social media, but if the majority of them advocate for your brand, you’ll do much better compared to large brands with millions of followers but have fewer advocates. Measuring ROI has always been the concern, starting from the early days of sandwich board advertising up to social media marketing. It’s not new in advocacy marketing, too. But if you have the right tools, it will be easier to measure your marketing efforts with accuracy. Technologies such as traffic monitoring and link tracking to measure click-through numbers can provide you with quantitative metrics that show the results of your campaign. The only downside is that employee advocacy works best with qualitative evaluation. Such as why and where users share them, what is the level of engagement among advocates, what kind of content gets the most shares, and how users respond to engagement requests. All of this data will give you a clear view of where your business stands and where it’s heading with your advocates. This myth comes to life due to poor content production and inexperienced campaign managers. Employee advocacy is only disastrous if you don’t do it properly. If you don’t want this to happen, hire some experts who can perform the right maneuvers. Do not settle for amateur campaign managers and poorly-written content. You don’t want to put your brand’s name in jeopardy. Indeed, creating blogs, infographics, videos, and tweets could be draining if you have to start from scratch and do it all on your own. But think of it as a form of investing — you’re investing in quality content. The good news though, employee advocacy allows the employees to learn more about your brand. So, instead of curating new content, you can share existing content that they haven’t seen before. You can rehash the existing content and tailor them according to the advocate’s preferences. It’s inevitable to feel crestfallen about the lack of people’s enthusiasm towards your advocacy efforts. But you shouldn’t dwell with this emotion. Feeling discouraged will not get you the support that you need. Keep engaging your brand advocates with compelling and relevant information. It will drive your employees to promote more actively for you. Your efforts will pay off. It’s only a matter of time when you get the engagement rate that you want. Although employee advocacy almost always takes place on social media, which for most people is a waste of time, some marketers even have the notion that exhausting the employee advocacy campaign on social channels is a waste of time. Yes, it’s true that most people now spend the majority of their time on social media. But, it shouldn’t be the case for employee advocacy. It’s important that as a marketer, you realize the importance of having a good visibility online in only a matter of minutes. And it’s something that other marketing mediums can’t do. Although it’s inevitable not to lose productivity time, there’s something you can do to curb it. Get your most popular and influential employees on board and let their network help fill in the productivity gap. If you want to fall in the latter category, you need to be sensitive and careful, including the information that you use. With redundant information entering the web every day, it’s easy to get waylaid with false claims and beliefs. These are the reasons why it’s important for a marketer to be vigilant and updated. Not just in latest trends but also with facts and fallacies. Patrick Panuncillon is a young entrepreneur with a decade worth of experience and training under his belt. His biggest trophy as of the moment is LinkVista Digital Inc., a blossoming digital marketing startup. Patrick, thanks for writing this! I especially loved your point about great employee advocacy requiring teamwork. What we’ve found at Lessonly is that when the team authentically believes in the product/mission/message that they’re sharing about—the impact is infinitely greater. Like you said—pretending won’t cut it! If teammates buy into the mission, they are inspired to creatively share ideas and stories that will engage their networks, rather than simply the marketing message of the day. Thanks for writing, I’m looking forward to reading more!